The USA, France and Britain presented a new draft resolution on the investigation of chemical attacks in Syria in the UN Security Council, as AFP reported. According to the news agency, Washington, Paris and London call for “unimpeded deliveries of humanitarian aid, enforcing a ceasefire and demands that Syria engage in UN-led peace talks”. “Negotiations on the draft resolution are set to begin on Monday, but diplomats said it remained unclear when the council would vote on the proposal,” AFP informs. As it was reported earlier, Russia blocked the U.S. draft resolution on the creation of a new investigative scheme for incidents in Syria. 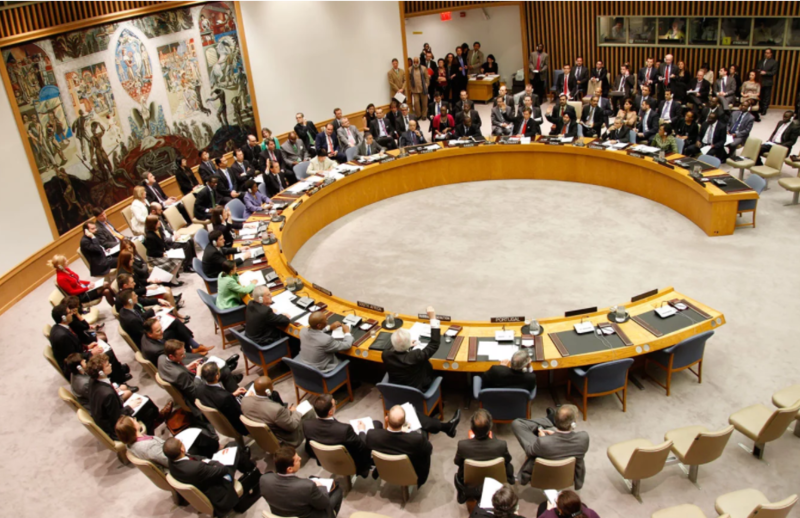 The UN Security Council rejected Russia’s resolution on the discussion of airstrikes in Syria conducted by U.S., Britain’s and France’s forces. As reported, the armed forces of the United States, Britain and France on April 14 inflicted air strikes on a number of facilities in Syria related to the development and use of chemical weapons. The media report about at least three victims.